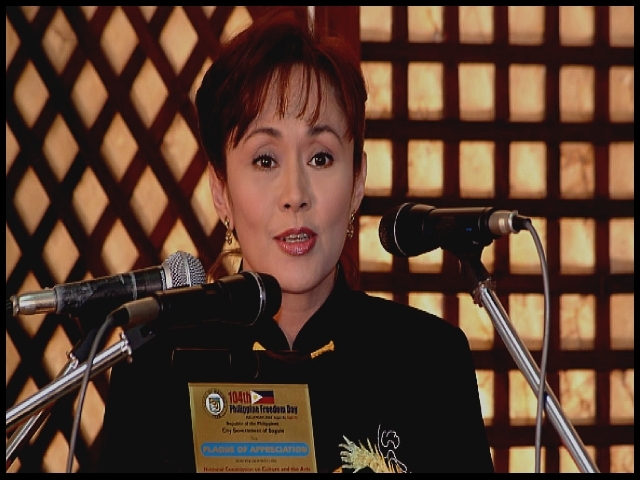 Vilma Santos sees nothing wrong with breast implants. “A lot of women get it,” she said. “Why are we making a big fuzz about it?” Inquirer Entertainment sought the opinion of the A-List actress-turned-Batangas governor on the report that President Gloria Macapagal-Arroyo had a breast implant procedure done sometime in the 1980s. According to Arroyo’s deputy spokesperson Lorelei Fajardo, the President was “offended” by talk about her breast augmentation. The Chief Executive recently had a lump on her left breast removed. Not ready – While the award-winning actress said she respects whatever view the President may have of cosmetic surgery, she pointed out that she has not had any beauty enhancing procedure on herself. “I have nothing against it. I’m just not ready for it now, not even for Botox,” said Vilma, who at 55 is aging gracefully. For five Saturdays this August, Vilma will be seen on the Kapamilya channel in a TV special titled “Vilma: A Woman For All Seasons.” A combined documentary and reality show, “Vilma” will feature the subject as a movie and TV icon, as well as her life as a wife to National Economic Development Authority chief Ralph Recto and mother to sons Luis Philippe and Ryan Christian. It will also discuss her being a symbol of woman empowerment. New movie – The show is expected to drum up interest for Vilma’s forthcoming movie, “In My Life,”—her first in five years. ABS-CBN special projects group head Chit Guerrero says Vilma “will get to share with younger stars what she has learned over the years. You’ll see something that hasn’t been done yet on local television.” Wearing a Danilo Franco off-shoulder black dress and a pair of Stella Luna pumps, Vilma sat with the Inquirer for this interview. We see your youngest son Ryan Christian on TV, too. Does this mean you don’t mind his being exposed to show biz at an early age, like you? I don’t mind, but you see, he’s really not that active in the business. He just did one TV commercial and appeared on “Goin’ Bulilit” during the summer break. School is still his priority. He’s in seventh grade now and is an honor student. Did you ever imagine that you’d be working on a film with your eldest son Luis? I never thought so. I found working with him a challenge. There were times when I wanted to coach him but I always stopped myself. I only remember telling him one thing: “Anak, di ka nagho-host dito. You’re portraying a role.” I believe in our director (Olive Lamasan). She’s the captain of the ship. We follow her. Minsan napapagalitan n’ya si Luis. I just keep my mouth shut. Luis is super kulit in real life, but when we were working he’s serious, quiet and focused. He was ready with his lines and he followed what the director told him to do. After working for more than four decades in show biz, do you still have a dream role? I still want to do a lot of things. I never expected I’d land this role, for instance. This is something new for me. I don’t want to be complacent just because I’ve gotten awards for the roles I’ve played in the past. This job is a continuous learning process. You have to continually hone your craft. You’re the most awarded Filipina actress. You’ve also won awards as a public servant. Is there anything else that you want to win an award for? I simply feel very blessed. I appreciate the recognition that other people give me. I consider awards as bonuses for my hard work. They inspire me to do more. They’re indicators that I’m on the right track, but I don’t work for the sake of getting awards. Nakakadiskaril ’yun. You’re very visible on TV these days because of your commercials. What’s your policy on accepting product endorsements? I get a lot of offers that require me to be seen cooking and washing the laundry. I turn them down. I don’t cook or do the laundry. If I’d endorse something, it has got to be something that I really use. I ask a lot of questions about the product. My shampoo commercial, for example, carry the theme “Ibalik sa nature.” I had asked if the product really uses natural ingredients like aloe vera. I’m very meticulous. 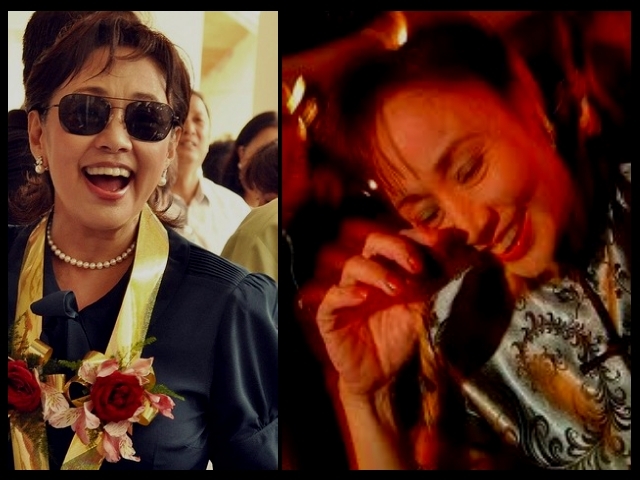 You play two roles, as a show biz icon and a public servant. Which is more difficult to portray? It’s tough to be a public servant. I grew up in show biz. I was 9 when I started working. It’s more manageable. Politics is different. Iba ang labanan. Kung kailangan na one inch ang kapal ng mukha mo sa show business, dapat sa pulitika, five inches. If I may say so, I didn’t ask to become governor. God gave this role to me. There’s a big difference between ambition and destiny. You have offers to run for Vice President. Yes, there are offers. I’m not meant for that kind of role. I’m not interested in running for a national position, but I would want to run for governor again. I know what I want for Batangas. Would you campaign for Edu Manzano (Luis’ dad) in case he decides to run for public office? Walang problema d’yan. The only difficulty I see is if we end up being members of different parties. In politics, affiliation does matter. How do you handle death threats? The death threats I got a few years back almost made me want to quit. But Ralph reminded me that it’s part of my job. I don’t want to disappoint my constituents by quitting. Now, I just offer a prayer to God every time I leave for work. I still get scared, but I can’t keep hiding forever. After all, I have nothing but good intentions for the people. Have you thought about your legacy in show biz? I want to be remembered as an actor who makes inspiring and relevant films. I’ve dedicated more than half of my life to show biz. This entry was posted in ARTICLES and tagged ARTICLES, Vilma Ages Gracefully, Vilma ages gracefully (Repost). Bookmark the permalink.